Welcome to the online storage of salvage cars for sale, wrecked motorcycles, trucks and other salvage vehicles from the United States junk yards and insurance auctions. The information you see at our site will help you to bid at online salvage auctions on wrecked and repairable vehicles for sale. The absolute number of cars, trucks, bikes and other vehicle here have the title. You can buy a repaired used vehicle or project vehicle to work on. Maybe, you'll find a vehicle you need for auto parts. Our company can provide you with shipping services worldwide or in the USA and assist you in arranging all the stages of your shipment and document clearance. 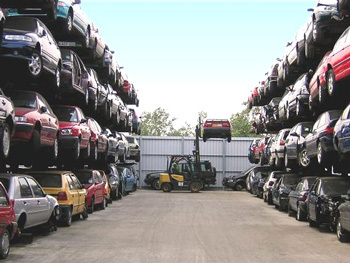 Bookmark now the best online salvage auctions and junk yards gateway where you will find a salvage car, truck, trailer, motor, snowmobile, yacht and more salvages for sale!